Perry Miniatures previewed some more splendid greens for their upcoming plastic Agincourt mounted knights boxed set. 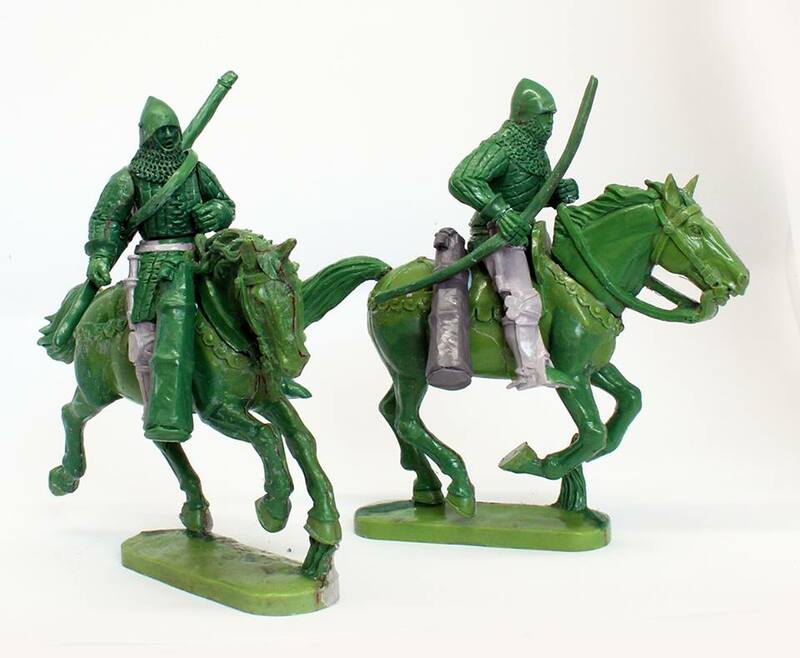 These will support their already released plastic and metal miniature range. Update on the Plastic Agincourt Mounted Knights - Just before the trip to America Alan handed over the ‘3ups’ for the next plastic set to Renedra. Shown here are a few of the many variants you’ll be able to build (the maximum variants is undiscovered at the moment!). The bodies are separate (of which there are 12 on the frame) from the legs (of which there are 6). A few of the bodies have fixed bridle arms while 3 others have visors fixed down, for ease of building if your not into too many parts. There are multiple arms which include typically some French/German and English styles. There is also one German style ‘Klappvisier’ alongside the normal visors on the frame. 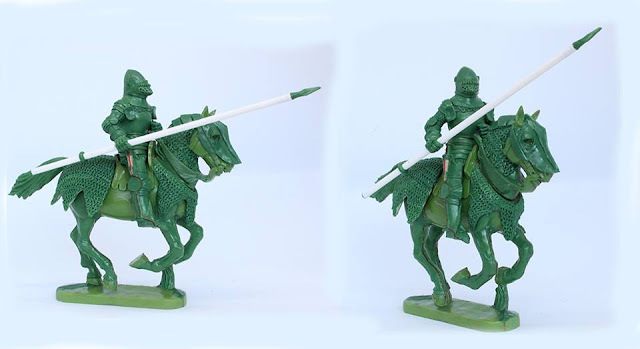 Alan decided to include the light horse variants on the same frame, so English mounted archers, French mounted sergeants, 1390’s or less well equipped men at arms and general lighter horse can be made too, if you like. 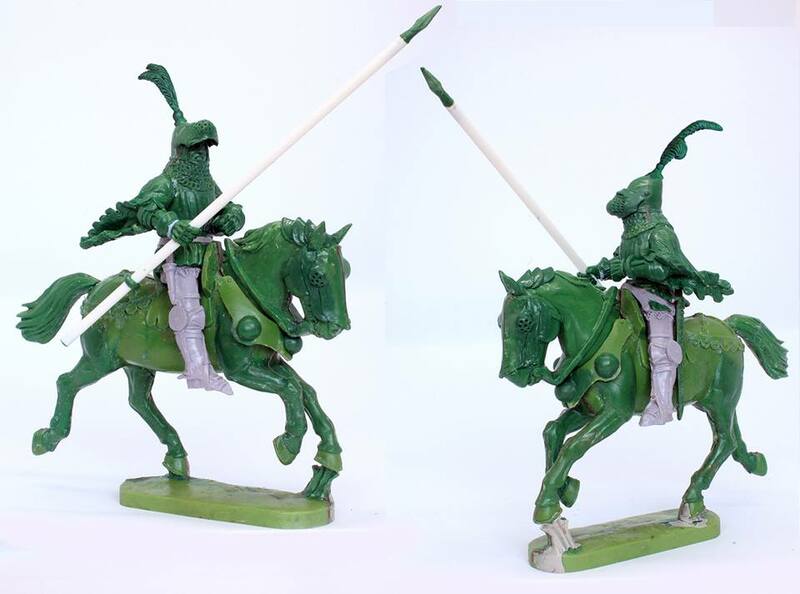 Up to half in the box could be made into light horse. 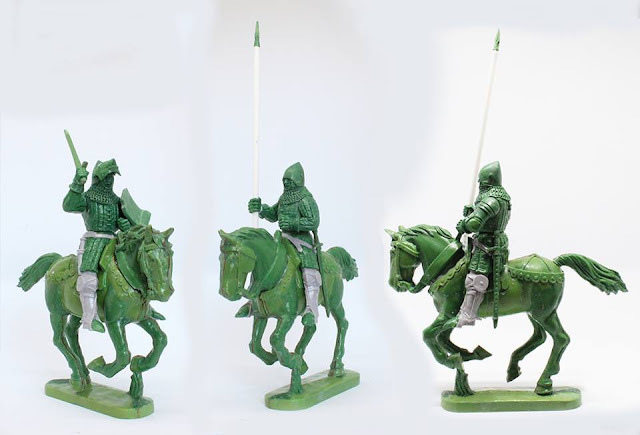 Or you can make them all as Knights/men at arms. 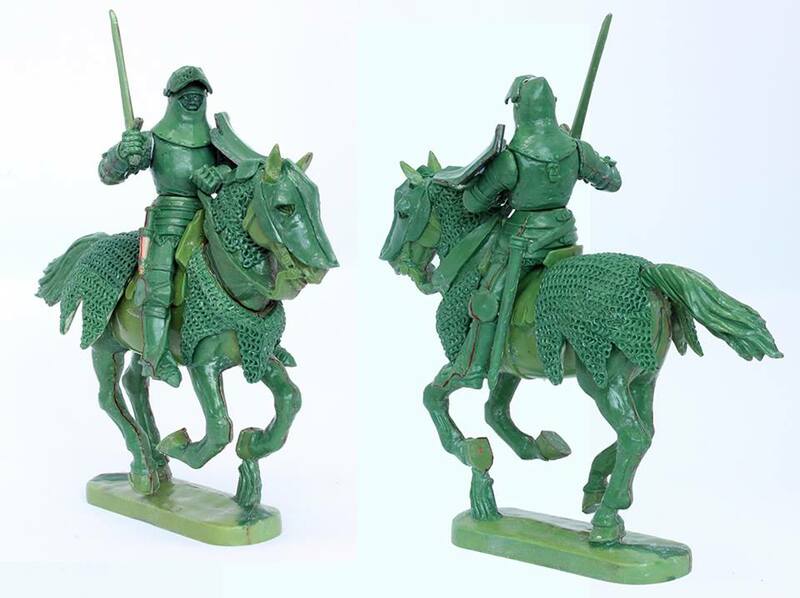 There are two additional horse heads with early 15th century chanfrons and short articulated crinets along with mail bards and a chest piece of cuir-bouilli or metal. If you want to 'gen up on armour Tobias Capwell's book Armour of the English Knight 1400-1450 published by Thomas Del Mar Ltd...is a must!